How often do we remember that our God is a God of the gathering hand, of the close watch, of verdant pastures and peaceful repose, of abundance and provision and rest? Sometimes I am so busy operating in survival mode and hoping with wildly incongruent prayers that I might be enough for the Lord and He will help me get by in my desperation. 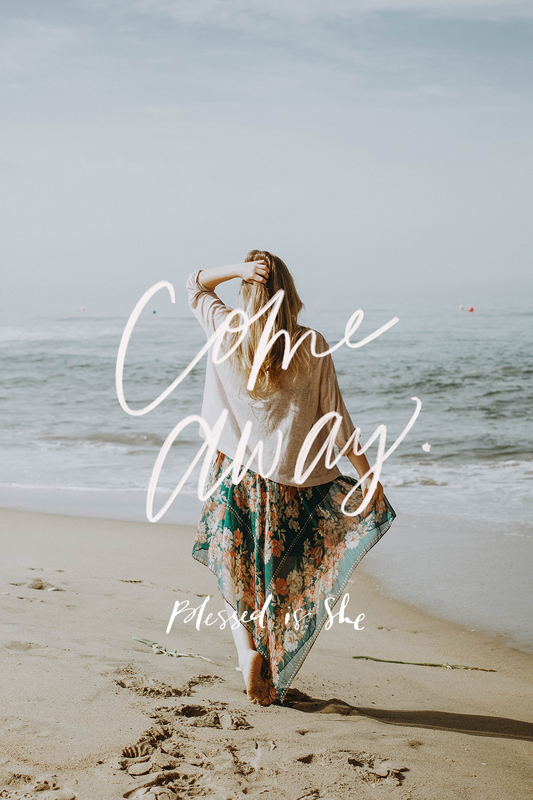 When Jesus embarks in the boat to bring the Apostles to a deserted place to rest and looks up to find people in need pressing in and following from every side, the Gospel tells us He was moved with pity and ministered to them. What it does not say is that He called the Apostles from their rest and engaged them in that ministry. I imagine that given the thematic repetition of the other readings on this Sunday and my certainty that Jesus’ compassion for the Apostles was as deep as His compassion for the people who pressed in on Him that day, He stepped up to meet the needs of the people so the Apostles would not have to. Our saving God ran interference for the ministers so that they could still find the rest they needed and continue on in peace and abundance. How often is God calling us to that same rest? How often are we afraid to turn over the to-dos and the expectations and the wild chaos of the needs of others to Him and rest while He steps in to handle the work and keep the pressing crowds at bay for us? How often does His invitation to peaceful pastures and the safety of His protecting arm go unattended because we are too busy to hear the call of our Shepherd’s heart? For me, the answer is too often. But maybe today, the poetry of the Word can ring deep in me, and I can hear His Come away as the lover’s call to my soul, and respond with the yes I so desperately need to give. Do you let Our Lord take care of the endless stresses on some days? Let Him minister to those in need, and you catch your breath a while, Sister. Colleen Mitchell is a wife, bringer upper of boys, Gospel adventurer, wanna-be saint, author and speaker. She is the author of the award-winning Who Does He Say You Are: Women Transformed by Christ in the Gospels, and When We Were Eve: Uncovering the Woman God Created You to Be. Her latest adventure has taken her from the jungle of Costa Rica where she and her family have served as missionaries for the last six years, to the wilds of a sixth grade classroom in Fort Wayne, Indiana, where she is still living her mission to give everyone she meets just a little Jesus. You can find out more about her here. Perfectly timed for me today! Thank you! !